Visit the other designers who are participating in this Row Along. Here is the entire list of participants, including this week’s participants. 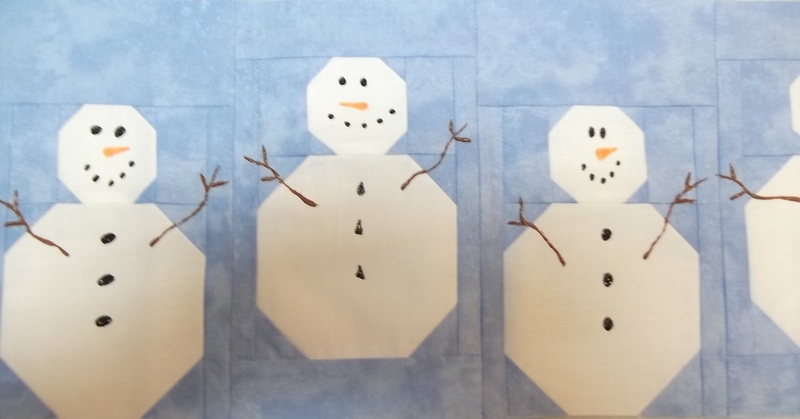 My row of snowmen started out looking like this in Electric Quilt. Now, I don’t normally do appliqué or embroidery in my quilts, so designing this block took me out of my comfort zone. The eyes, mouth, buttons and even the carrot nose were easy with the tools available on the appliqué layer in the block drawing board, but the arms were another matter. I had fun making the twig arms in EQ and learned more about EQ along the way (you can teach an old dog new tricks!). 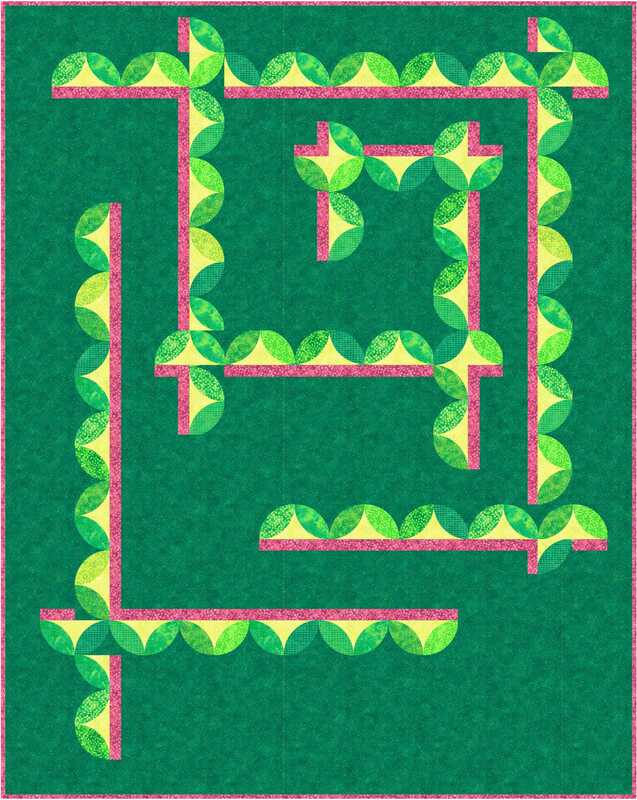 After piecing the blocks and putting them into a row, it looked like this. I and Susanne, my piecer and right arm, were not looking forward to making all of those tiny black circles for the eyes, buttons and mouth. What to do? Being the crafty gals that we are, we grabbed an orange permanent Crayola fabric marker and some black and brown fabric paint. Voila! These guys had character in no time flat! 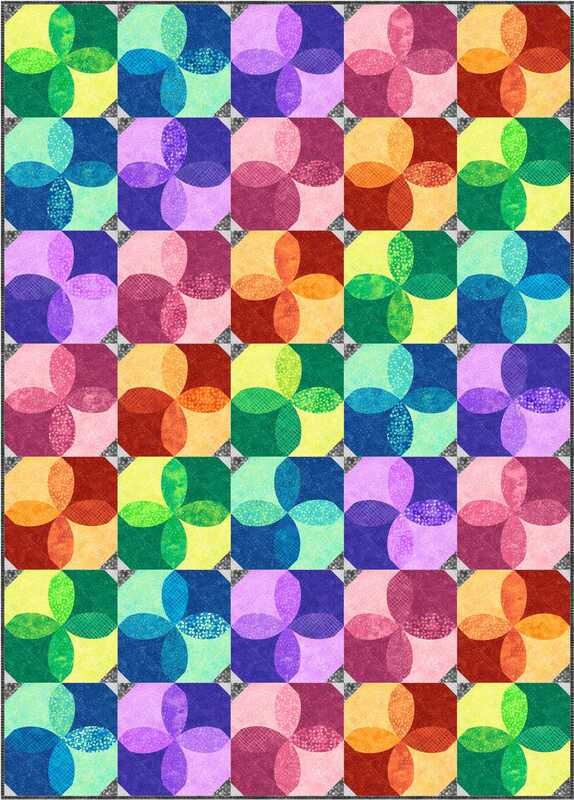 I think I shall add a border and turn this row into either a table runner or a small quilt to hang above a doorway. 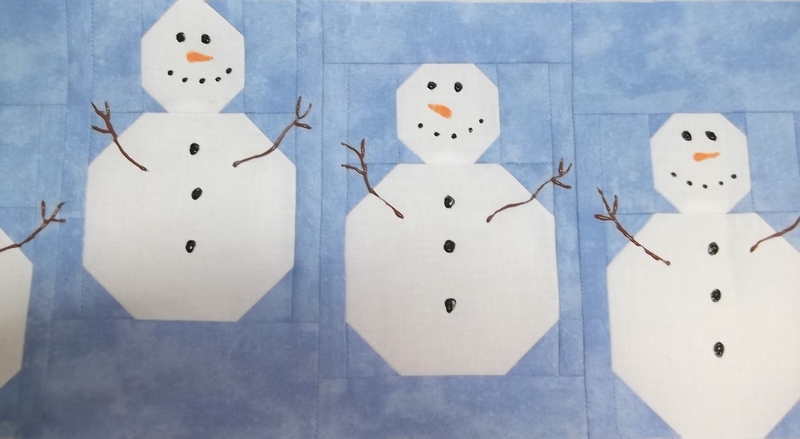 For instructions on making this row, click here – Patti’s Frosty Friends pattern. There are some awesome prizes being given out in this Row-along, so don’t forget to enter. Northcott Fabrics 6-8 Yards of Cotton that feels like silk! Fat Quarter Shop $25.00 Gift Certificate. You can enter at each of the blogs featured this week! I am also giving away a prize! Please post a comment on my blog by midnight September 26 telling me your favorite thing about winter for your chance at a packet of Toscana fabrics. Enjoy the rest of the Row-a-long and thanks for stopping by. Today is a great day! 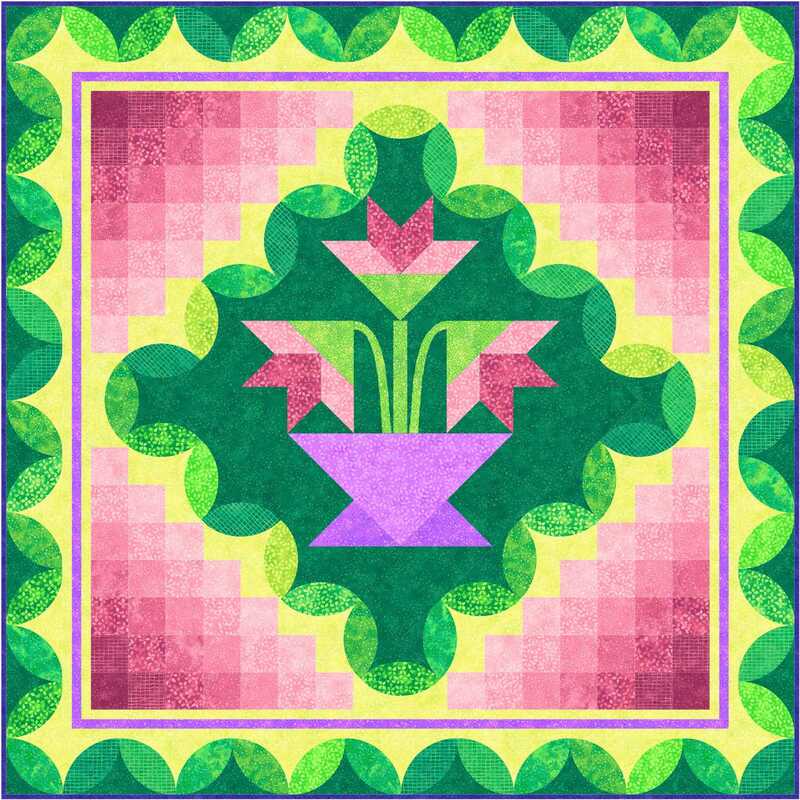 Not only am I blogging on my site, but I am also a guest blogger on the McCall’s Quilting blog, where I am talking about my Bevels project in the November 2015 issue of McCall’s Quick Quilts (http://www.mccallsquilting.com/blogs/?p+10996). Needless to say, I am thrilled that McCall’s has featured my quilt in this issue AND that they asked me to be a guest on their blog. The Bevels project uses one of my fave new fabrics – it’s called a STRIP-R (pronounced “stripper”), and it is a pre-printed fabric with 21 2” wide strips across the width of the fabric – think “jellyroll already sewn together”. How cool is that?!? I pitched this idea to Northcott’s Creative Director Deborah, and she has included STRIP-R’s in about a dozen current and upcoming collections so far. 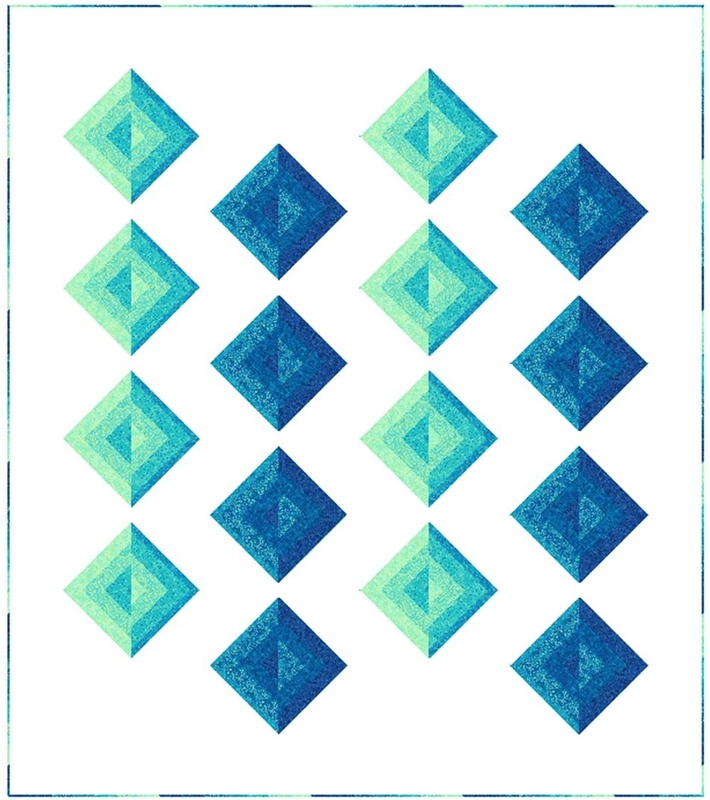 In fact, I am using a STRIP-R from the Porcelain Blue collection for a project in the February 2014 issue of McCall’s Quilting, out in November. Here’s what the Porcelain Blue STRIP-R looks like. I can’t show you the quilt just yet, but I will soon (it’s so pretty – classic blue and white!). The STRIP-R that I used in the Bevels project is from the Ambience collection. Creative Director Deborah also designed and included another innovative pre-printed fabric in this collection – it is called No-Sew Circles and looks like orange peel, or interlocking circles. Isn’t this equally cool?!? I designed 3 projects using the No-Sew Circles – they are almost as much fun to work with as the STRIP-R’s. Here are pictures of Ambience Medallion, Candied Peel and Strips of Peel (patterns are available from http://www.quiltwoman.com). One of these projects also uses STRIP-R’s. Now, if you’ve visited my blog before, you know that I like to give stuff (fabric) away. Today I would like to give away 5 packets of fabric, each containing a ¼-yd of the 8 textures plus a 1-yd piece of the STRIP-R and No-Sew Circle fabric in one of the 5 other colorways of Ambience (you can see the other colorways at Northcott.com/Ambience Hint: the Bevels quilt uses the lagoon colorway). For a chance to win, please post a comment by midnight Friday Sept. 11 telling me which of my 3 Ambience projects uses No-Sew Circles AND STRIP-R’s, and tell me which color packet of Ambience fabrics you’d like to win. And don’t miss the chance to win a packet of fabrics on the McCall’s blog too – they are giving away packets of the lagoon colorway (click on the link at the top of this page Fto visit them).